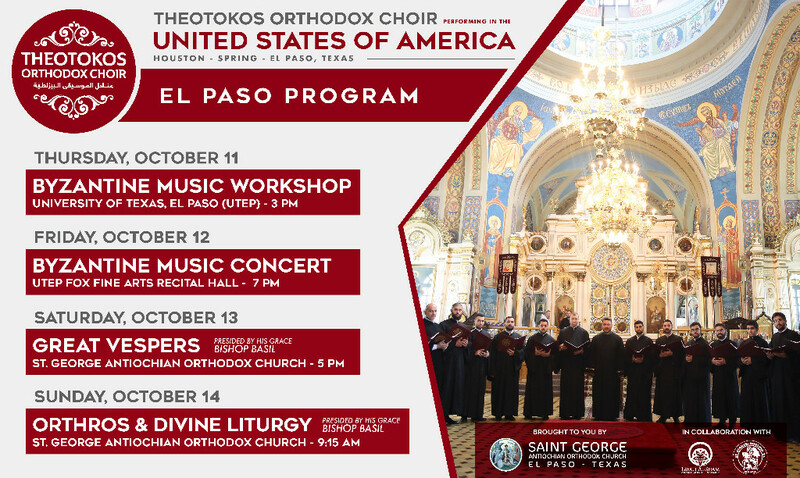 Theotokos Orthodox Choir of Beirut, Lebanon will give a once-in-a-lifetime Byzantine music concert on Friday, October 12 at 7:00pm at the UTEP Fox Fine Arts Recital Hall, thanks to the collaboration of St. George Antiochian Orthodox Church of El Paso & the Middle-Eastern Music Ensemble Layali Al-Sham of UTEP. The concert is open to the public and tickets are available at the UTEP Ticket Center office, 2901 N. Mesa St (next to the Don Haskins Center). The cost is $12. Join us this Sunday as we continue in the incredible world of Revelation where Jesus reveals “things that you have seen, things that are and things that are to take place after this.” Come Lord Jesus! This Saturday, October 6th, 7:00 am, Village Inn, 2929 N. Mesa (map), adjacent to Don Haskins center and UTEP. We meet in the back room, so if you don't see us, ask the hostess. For more info, contact Scott Reeves. C'mon guys, our swords sharpen each other... join us... there's no agenda, only fellowship and pancakes! The word "Addiction" covers a wide spectrum. From substances like alcohol and tobacco, prescription medications or illegal drugs; to behaviors that provide a temporary high, like gambling, racing and similar activities. 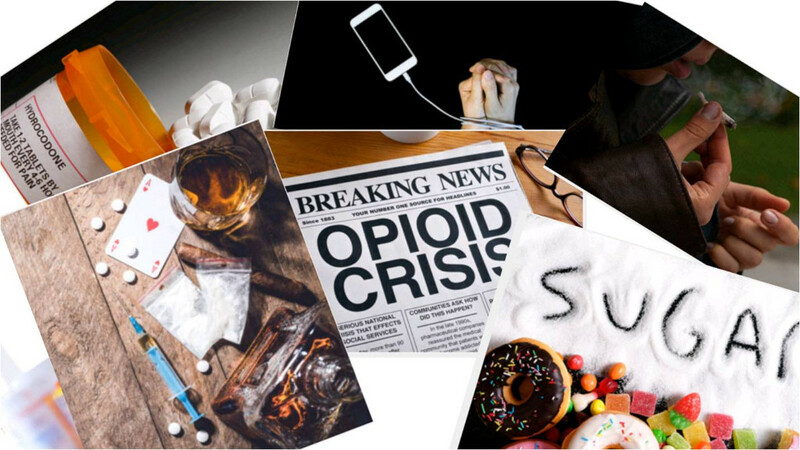 In a three-part series to be held on three Saturdays, September 22, 29 and October 6 at 6:00pm, Deacon Jeff Thrasher will provide the opportunity to learn more about addiction and ways to cope with it. The series is a must for anyone personally suffering the devastating effects of addiction, or who has a friend or relative struggling with it. We hope you can join us as we explore addiction from all aspects, physical, emotional, and most importantly, spiritual. OUR NEXT MEETING WILL BE THIS EVENING, OCTOBER 4 AT 6:30PM. Hope to see you there! 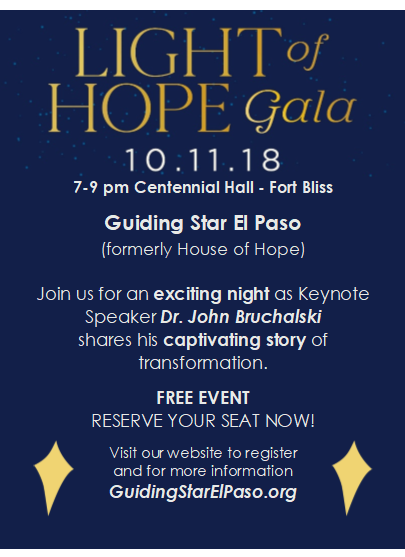 Guiding Star El Paso, formerly House of Hope, is celebrating over sixteen years of providing compassionate care to women, families, and the unborn in our community with our 2018 Light of Hope Gala! You won’t want to miss former abortionist Dr. John Bruchalski's captivating story of mercy and transformation, along with our crucial update on how we are impacting our border community. There is free admission for general seating but you must register for a ticket to enter. Additionally, reserved seating and a VIP reception with Dr. Bruchalski are available with table sponsorships, along with other exciting benefits. Seating is limited, so RSVP today! Visit GuidingStarElPaso.org to reserve your spot! Thank you for your support and God Bless. 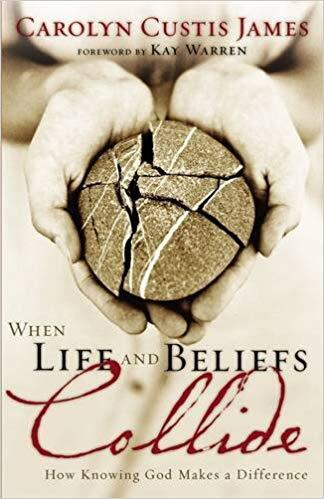 Please join us for a wonderful study in We Believe in God. Who is God? What are his attributes? His eternal plan? His works in history? At the most fundamental level, the Scriptures were given to us to teach us about who God is and what he has done for us. In fact, knowing God is essential for us to understand ourselves and our world. 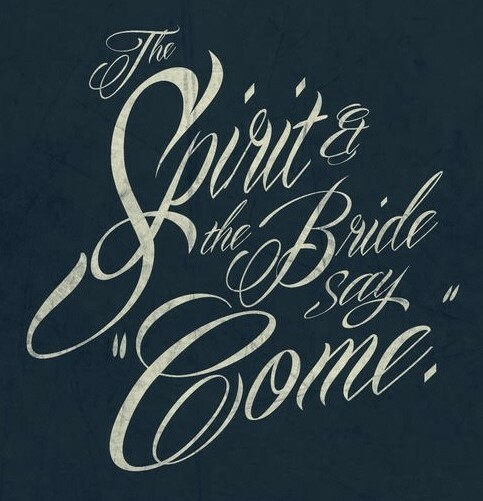 This is why we study what theologians call theology proper, or the doctrine of God. We hope to see you there! Email Pastor Chuck for more information. 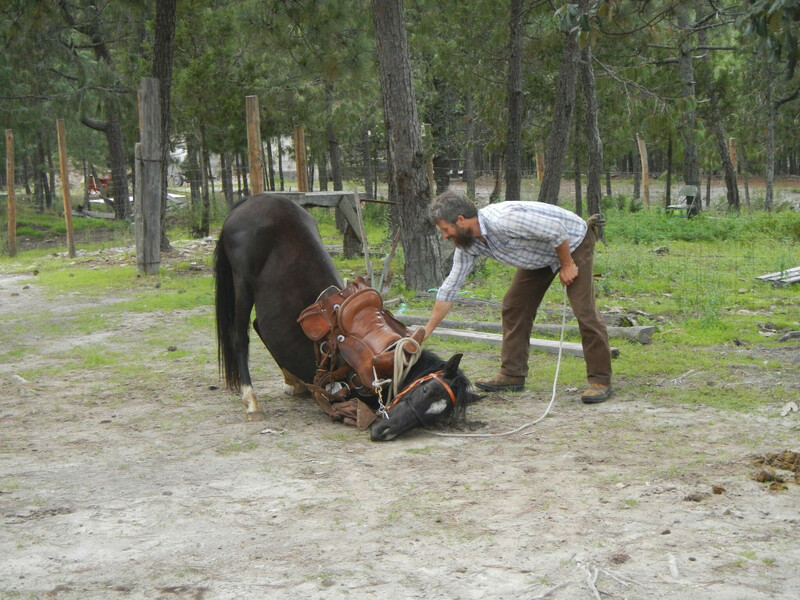 Click on the photo to read the latest newsletter from Andrew Bornman. To make a donation to their ministry, please send a check to Mexico Medical Missions, 1302 Waugh Drive #685, Houston, TX 77019 and write “Bornman Ag project” on the memo line. 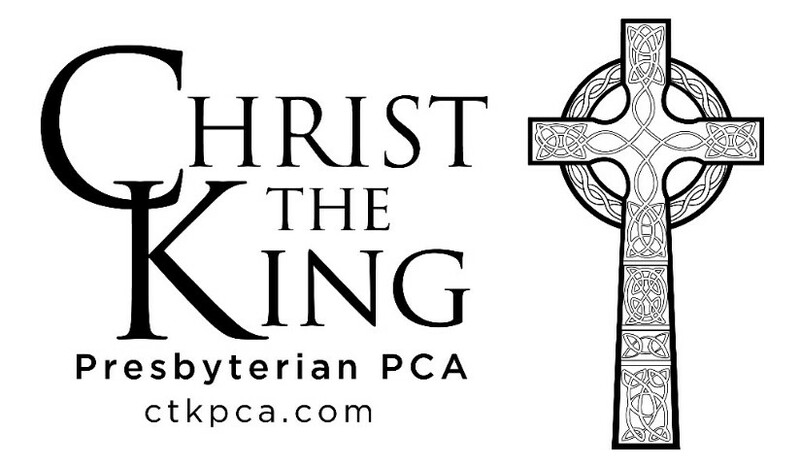 Greetings Christ the King Family! We are in the home stretch for collections for this year's Operation Christmas Child Drive! It’s October, and that means it’s time for the fun stuff: Toys! When considering what toys to put in a Shoebox, I would like to encourage you to think outside the box. (haha!) For example, sports balls can be deflated (and the Dollar Tree sells excellent small pumps! ); packaging can be removed from Barbie dolls and Matchbox cars; small Legos and children’s craft kits can be removed from bulky boxes and placed in sandwich zipper bags (just make sure you include any instructions). With just a little creativity, you’d be amazed at how much a Shoebox can hold! To recap what we have collected so far, in the month of September we collected these Personal Care Items: 62 bars of soap, 63 washcloths, 114 combs, 19 hair brushes, 13 packs of various hair accessories, 53 toothbrushes, and 12 packs of toothbrush covers. In the month of August we gathered these School Supplies: 31 notebooks, 28 coloring/activity books, 6 packs of glue sticks, 19 packs of pens/pencils, 11 pencil sharpeners, 55 packs of crayons/colored pencils/markers, and 2 math sets that will be great for older kids. Based upon what we have received so far, I estimate that we will be able to pack 60-75 boxes, which would put our shipping costs somewhere between $540-$675. It isn’t much when you think about it; when is the last time you were able to ship a shoebox-sized package for less than $10? The shipping cost also covers training and materials needed to help spread the Gospel to Shoebox recipients. I hope you will consider contributing to our shipping fund… any amount will help! If you have any questions, please contact Katie Johnson (kate.j.9209@gmail.com). 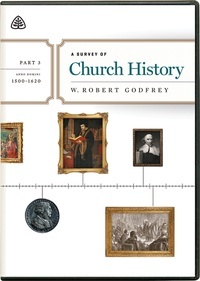 The video lecture on A Survey of Church History Part 3 by Robert Godfrey will begin at 12:10pm after lunch with discussion following. PLEASE JOIN US!